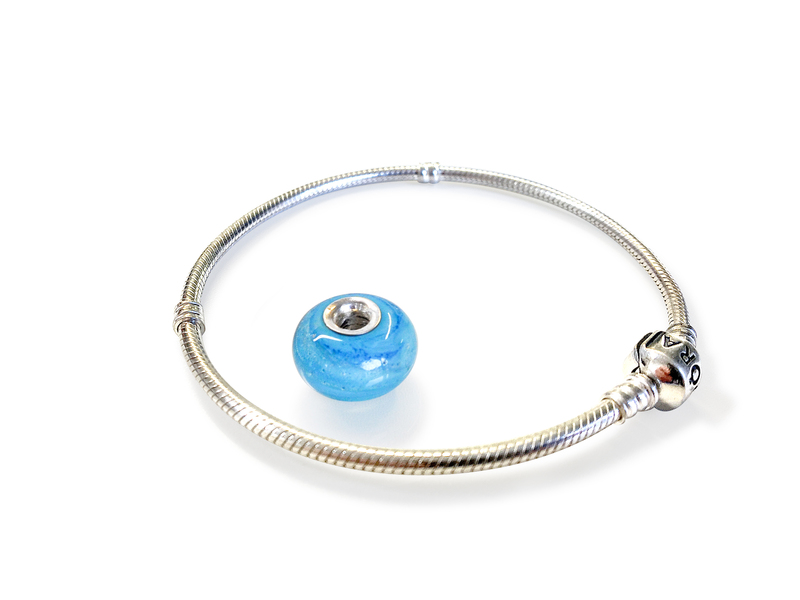 Are you thinking about purchasing memorial glass jewellery to remember a lost loved one? 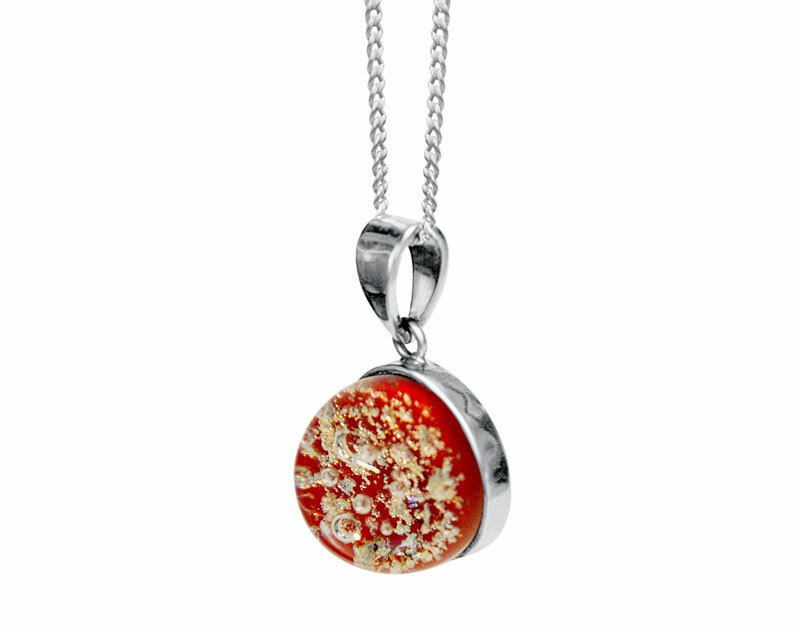 Cremation glass jewellery can bring a great deal of comfort to people and brighten even their darkest of days. 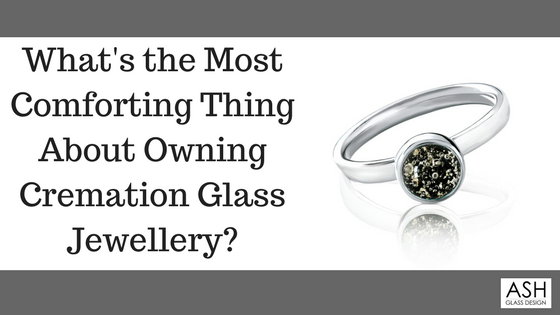 However, it can also be a very emotional process, and it can be especially stressful if you’re choosing to order your special piece of jewellery online. 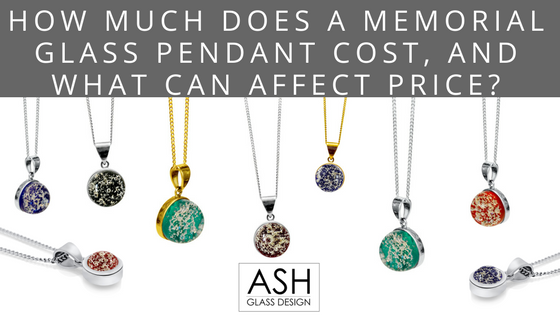 As an experienced glassmaker, it’s my number one priority for people of all backgrounds and budgets to experience the comfort that comes from memorial glass jewellery and artwork. It should be something that brings a smile to your face, not cause you to lose sleep at night. That’s why I’ve put together this blog post about how to avoid stress when ordering something so personal and unique online. 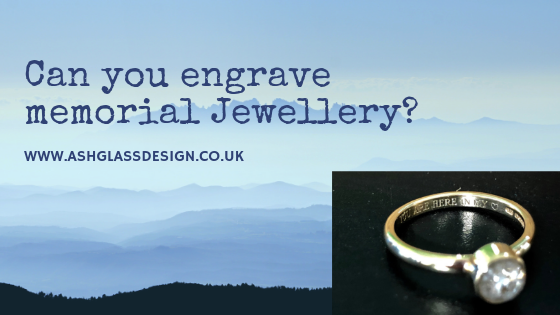 It’s true that while some people are emotionally ready to get jewellery made from their loved ones’ ashes right away, others may want to hold back a while. That’s perfectly normal, and you should only commit to buying cremation jewellery when you feel ready. 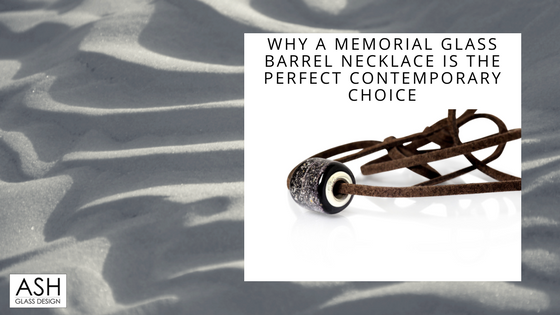 Here are some tips and guidance I’ve put together to make the process a little easier when deciding whether or not to purchase memorial glass jewellery. 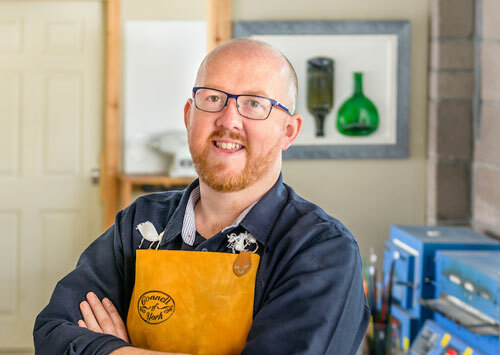 Now, this may be obvious, but it’s important to look at all the available products out there and settle on a jewellery or art design you’re completely happy with. You might come across a gorgeous style of ring or a specific colour that reminds you of your loved one. 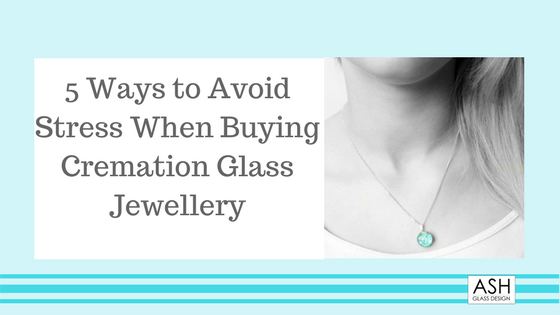 TIP: Here are some things in particular to avoid when purchasing cremation glass jewellery online. I find that it really helps many of my customers to be able to speak to me on the phone. Hearing the understanding in my voice, and being able to answer all of their questions really helps set their minds at ease. If possible, make a list of all the things you want to ask a company first, and then either telephone or email them. I always say never to commit to a purchase before they’ve answered all of your questions, as this really does help eliminate stress. For guidance, here’s a list of some of the biggest questions I think are important to ask a cremation glass company. TIP: Some companies may even be able to phone you to tell you that your loved one’s ashes have arrived safely. I love being able to do this for clients, as I know how important it is to know they’re safe. If you have made contact with a company, but something doesn’t feel right, please don’t feel pressured into making a decision. 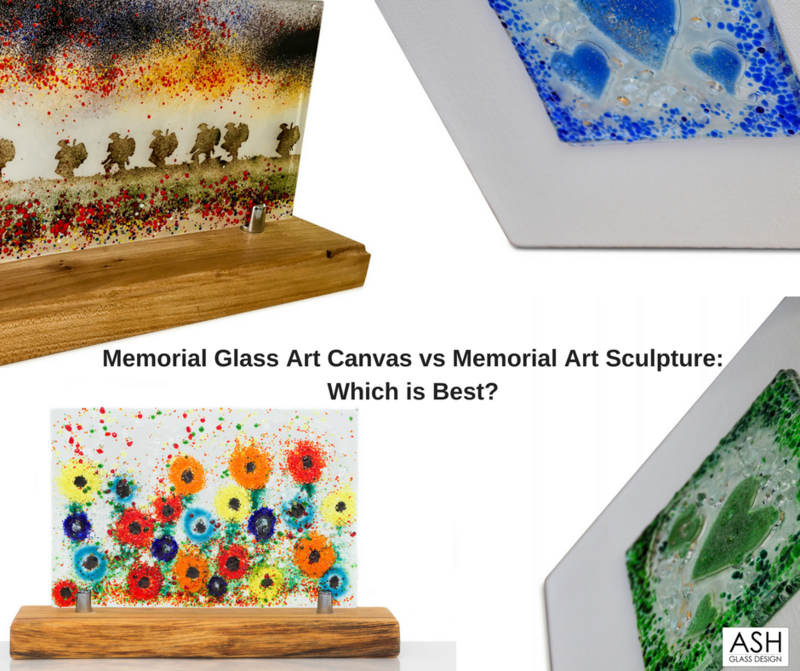 No reputable cremation glass company should do this, and they should allow you to make your final decision in your own time – no set timescales or sales tactics. 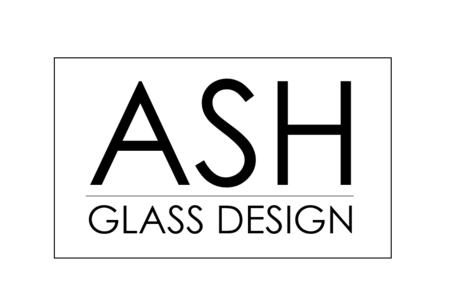 Always trust your gut, and only send money when you feel comfortable and confident in a memorial glass company. Lastly, I find this one is the biggest help to make of my customers – although it’s not something that’s always going to be available. The answer you’ll get will really be dependent on the company, but some smaller, more personal businesses will understand the need to ensure your loved ones’ ashes are safely delivered by hand. In the past, I’ve had customers travel up from places like Leeds, or down from Aberdeen and the Highlands to deliver their loved ones’ ashes. It really takes out the stress that comes with worrying about anything getting lost or damaged in the post. 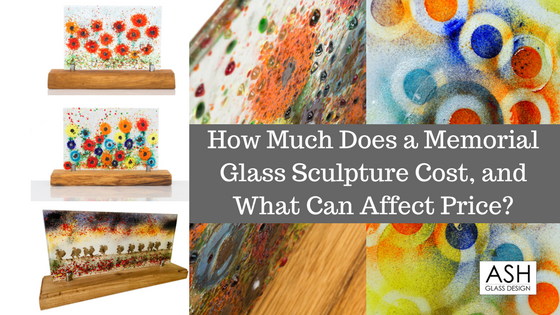 I’m sorry for your loss, but I hope this blog post has gone some way to helping you avoid stress when purchasing memorial glass jewellery online. Some of the tips above should hopefully make ordering cremation glass a more enjoyable experience, and remember to never commit to buying until you’re 100% confident in a company. Do you have any questions about this subject? You’re very welcome to get in touch with me directly, or alternatively leave a comment below. I’m always happy to help!